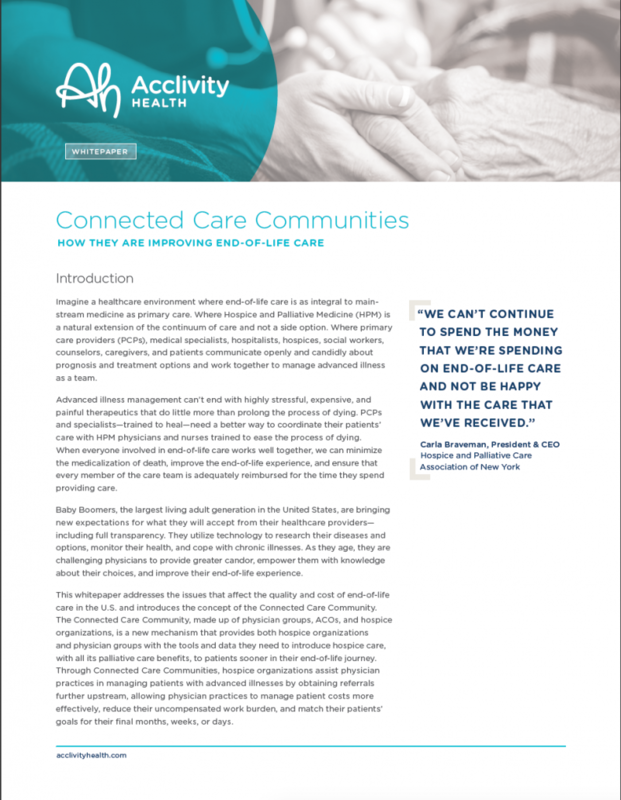 This white paper was created to explain the need for a connected care community for physicians, ACOs and hospice involved in advanced illness care. The health IT client, which has a platform designed to de-fragment end-of-life care, hired me to develop a range content. Please click on the image at left to open the white paper pdf.